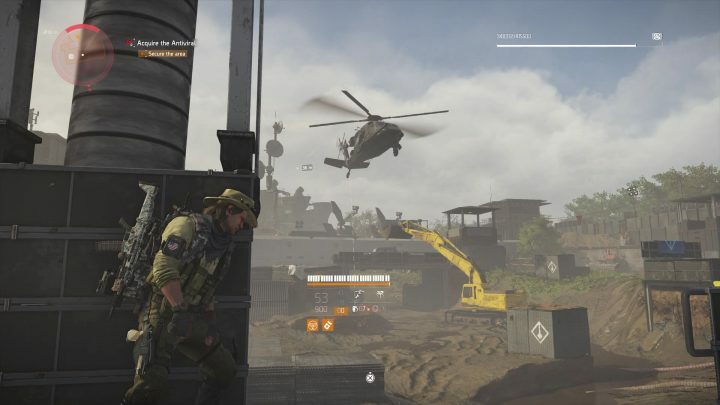 The Nemesis is the new Tidal Basin Stronghold Exotic included in the massive World Tier 5 update to The Division 2. The Exotic Marksman Rifle requires quite a bit of questing to unlock, and you won’t be able to unlock it right away — it’ll take several weeks at least. If you don’t want to miss out on this awesome unique weapon, then check out the full guide below to learn everything that’s been scrounged up so far. The Nemesis Marksman Rifle isn’t your average Exotic. Unlocking it requires following a tricky series of clues. At least, that’s what The Division 2’s rapid fan-community worked to decipher right after the Tidal Basin release. There’s a riddle attached to each step in this Exotic quest, and getting all the components will require a complete World Tier 5 cycle. To get started, you’ll need to reach World Tier 4 and complete the Tidal Basin at least one. When that’s done and you’re in World Tier 5, you can begin the quest. To begin the Nemesis Exotic Marksman Rifle ‘quest’, you’ll need to complete the Tidal Basin and reach World Tier 5. In World Tier 5, you’ll have to deal with new ‘invanded’ missions / strongholds. One of the three regions will be invaded by Black Tusk — in the first week, that’s the Capitol Hill Stronghold. You’ll need to complete three invaded missions, unlock the invaded stronghold, and complete it to unlock a second playthrough of the Tidal Basin stronghold. Once you’re able to play the Tidal Basin for the second time, you’ll be able to begin this quest. Here’s how it goes. When you replay the Tidal Basin on ‘Normal’ or ‘Hard’ Difficulty, you’ll be able to acquire a special keycode. Reach the Comms Station (before the portable toilets) with the laptop interactable. Go upstairs, and collect a keycard from one of the bunkbeds. Take the keycard to the Cargo Bay of the massive Hovercraft near the end of the stronghold. In the Cargo Bay, fight to the control room in the back. Before leaving through the door on the right, use the keycard on the keypad in the left corner. Inside, you’ll find a named chest. Collect it to gain the ‘Adrestria-SR1‘ unique gun. Dismantle the ‘Adrestria-SR1‘ to get the first Exotic Component. The first part is called ‘Marksman Rifle: Scope – The Tally’ — read the description, and you’ll get references to three boss characters. To get the next three Exotic Components for the Nemesis, you must defeat three Black Tusk bossies — Klutz, Shorty, and Prime. Each Black Tusk boss spawns in one of the three invaded WT5 Strongholds. The WT5 Invaded Strongholds are on a weekly timer, and change every week. You need to complete each of the three invaded strongholds (Hyena, Outcast, and True Sons) and pickup the Exotic Component from each of the end-bosses when these strongholds have been invaded by Black Tusk. To get all three will require (at least) three weeks, so make sure to check back in and clear these strongholds!